Commenting on a winter open sailing session: Wot a fantastic day! I really do think this morning showed WP at its very best! It was a freezing cold, beautiful day and really gusty! Yet 16 sailors went out, all the amazing buddies spent at least an hour, if not more, freezing cold, sitting in a cold dinghy inches from and in the water! I think you are all amazing and incredible! Please forward to all the buddies and instructors and shore and launching teams! Well done indeed. How many other sailability charities sail through the winter? Feedback following the 2014 AGM, from Dave: I regret that as a disabled sailor I failed to take the opportunity to express how grateful we are to the volunteers who regularly give up their time to provide great facilities and to make our lives meaningful by being free from the limits of our disability just for a short while. It makes a big difference. I first learnt about the Woolverstone Project when I helped with some fundraising. 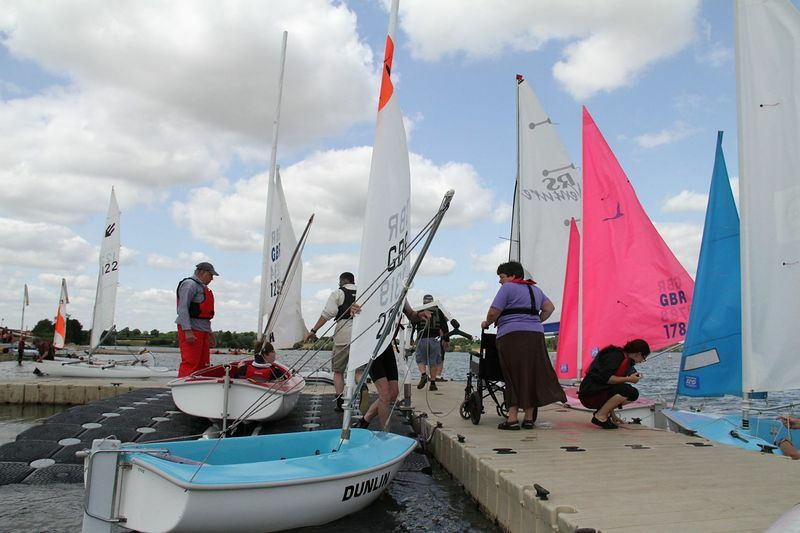 I had never in my 73 years sailed before but was persuaded to come along to Alton Water. Seeing the boats and how safe they were I decided to give it a go. I loved it! Monday 19th March I went for my first sail this year, it was a beautiful sunny, mild spring day, just perfect. I didn't have long to wait my turn when my instructor called my name and with plenty of help I was in the boat. A lovely wind was blowing and off we sailed. I was taught how to tack and jibe and how to keep the sails into the wind. I'm starting to get the idea now. The experience is very exhilarating especially when you get the wind and skim across the water. When we came back to land nothing is too much trouble. Getting me out of the boat everyone is very friendly and kind when using the hoist. I'm looking forward to enjoying many more sails this summer. So thank you to the wonderful project and all the hard work of Peter and the volunteers. Thank you. When I go sailing I forget I am disabled. Feedback from our meeting held on 30/1/12. Am writing to give a special thanks to all the helpers that were there last Monday (24th Oct). It was probably the best sail I've ever had on the Challenger, aided a great deal by the fact that I was on Ron's boat which I've never sailed before! But it's only made possible by all the help given to us. Grateful thanks to one and all, from the tea ladies to the launchers. Having sailed with the Project at Alton Water for nearly 3 years, I can say that I now have a new focus in my life. All the instructors & volunteers (no matter what their niche) play an important part in providing an activity in which all the sailors, no matter what their disability, are treated with respect for their disability, never with any patronising; this makes everyone feel equal to anyone else. In addition, there is a feeling of sailing day being a social function, with the sailors making good friends with people who otherwise they would never have met. All in all, I would say that the Woolverstone Project is such a very valuable organisation enabling the disabled to enjoy a sporting, outdoor activity that they might otherwise only have dreamt of. "Before being unable to walk unaided I was actively enjoying the exciting sports of hang gliding, windsurfing, power kiting etc., and thought how lucky I had been to defeat the age thing at 73! However once I received the devastating news about my disability I searched around for replacement activities. In my search to do this I stumbled across the Woolverstone Trust. What a find! It was easy to join because members meet regularly on the same day, same place and at the same time every week. The boats are idiot proof and will not capsize; you sit low in the boat and steer with a joystick. The friendly, experienced volunteers will get you in and out of the boats whatever your disability. So, how has the Trust helped me? They have helped me to achieve something new, despite my failing ability to do other everyday things". Prior to his severe stroke Kevin was a Marine Surveyor, a keen sailor and had held a private pilots licence. "The Woolverstone Project got me back onto the water after a stroke that left me without the use of one arm and one leg, and without the Woolverstone Project I would never have sailed again. I have made significant progress, to the extent that I can now get into the boat unaided. What the Woolverstone Project has done for me is better than any medical help I could have received, in that my mobility has improved in leaps and bounds because of the sailing" In my opinion this is one of the best clubs in the country.Even if you are a complete beginner when you start, within a few weeks you will be able to sail on your own, if you want to, because the instructors take you step by step through the process, and as there is a wide range of sailing available you can progress at your own pace." " I started going to Alton Water in March 2010. I had never been sailing before and I was a bit nervous to begin with. The first time I sailed the weather was good and not too windy. All the people helping there were very nice to me and helpful. They helped me get into the proper clothes for sailing so that I would be safe on the water. I was a bit scared to walk out on the pontoon, so someone helped me with that too, and with getting in and out of the boat. It wasn't as scary as I thought it would be, and I was very happy. I just went in the boat the first time but after lots of sailing I went out on my own! Someone stayed near me all the time, and I did really well. 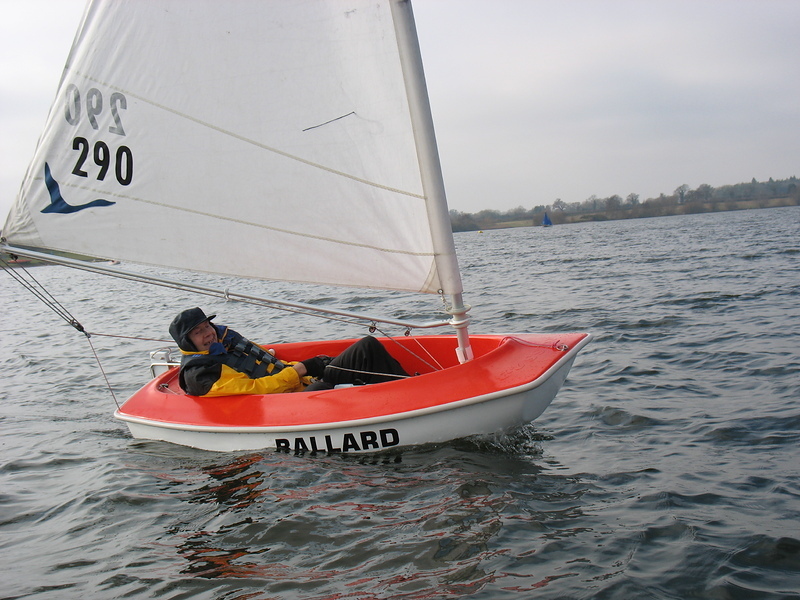 I think Sailability is very good and I want to keep going sailing, and sailing on my own when the weather is good. Thank you to all the people who have helped me."